Since I've been sharing about my time at the national Ms. 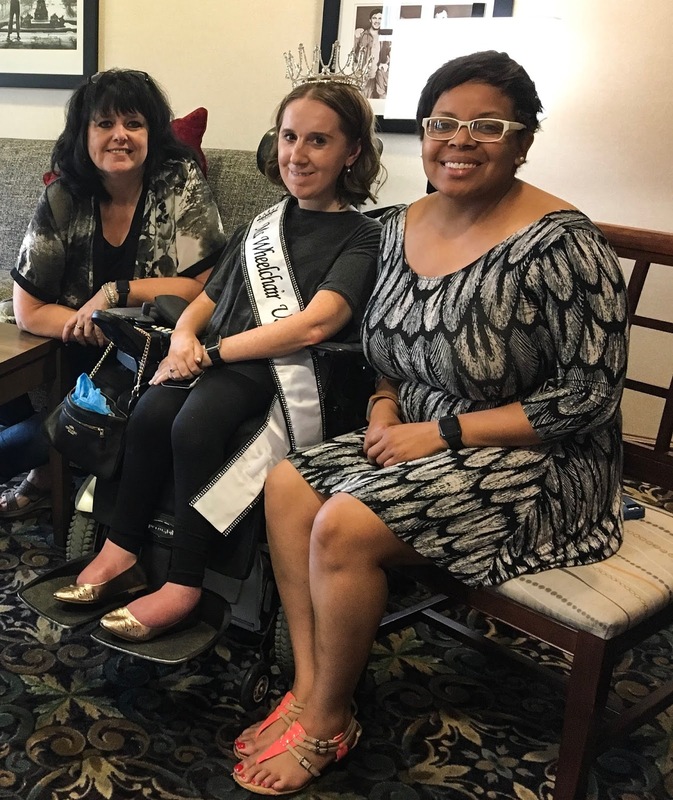 Wheelchair USA pageant, I thought I'd take some time today to talk about the not-for-profit organization that does the amazing work to put on the pageant - The Dane Foundation. The Dane Foundation is headquartered in Cuyahoga Falls (where the pageant is, too! ), and their work is centered around that area. They foundation is named for Dane, a boy born with cerebral palsy. He served as a spokesperson for the Foundation until his death in 2003, and helped raise education and awareness for those living with disabilities. The Dane Foundation's mission is to "address the unique needs of individuals with developmental and physical disabilities." The foundation focuses on providing quality of life items for people with disabilities - things like personal care items, toiletries, household items, etc. These items are generally not covered by other support services (you'd be surprised how strict the rules can be! ), but are obviously very needed! They also have additional services they provide during the holiday season - help with Thanksgiving dinners, and gifts for children with disabilities during the Christmas season. The votes you cast for me in the People's Choice Award went towards funding the Christmas gift program, Project Elf! I'm really looking forward to learning more about The Dane Foundation, and working with them this week. If you want to learn more about them, you can go to their website here.